Dezi Garcia's career appears ready to take the on-ramp to success, but first he must navigate the difficult intersection of talent and opportunity. This article was originally published in the March 12, 2017, edition of the Sun. Purchase a Worcester Sun membership for as low as $2, or sign up for our email newsletter below and let us deliver the news to you. We are living in a digital world, and Dezi Garcia is an analog guy. Or at least that’s what the young Grafton Hill crooner wants people to hear when they listen to the six songs on the album he released to iTunes Jan. 27: “Analog Mind in a Digital World”. While you wrap your head around Garcia’s free-thinking singer-songwriter perspective, consider the mind-numbing gauntlet that lies between the St. Peter-Marian graduate and the sold-out stadium tour dreamt of by most musical up-and-comers. A little outside-the-box thinking might not hurt, after all. After more than two years of writing, it took Garcia, 22, about another year to record and produce 18 minutes of music for the EP. Garcia recently released his second album. And now he’s searching for an agent and/or manager to help him book more gigs outside of Worcester and begin to boost his profile as he aims for a summer tour that spans the East Coast. You won’t get much argument about Garcia’s talent, but settling on the best way to leverage that ability into a sizable audience — that’s not so cut and dried. Sam James knows a thing or two about local musicians raising their own profile, and he believes Garcia’s search for an agent or manager is “pretty unnecessary.” Garcia should be focused on getting on Spotify playlists and pushing his album over social media, he said. 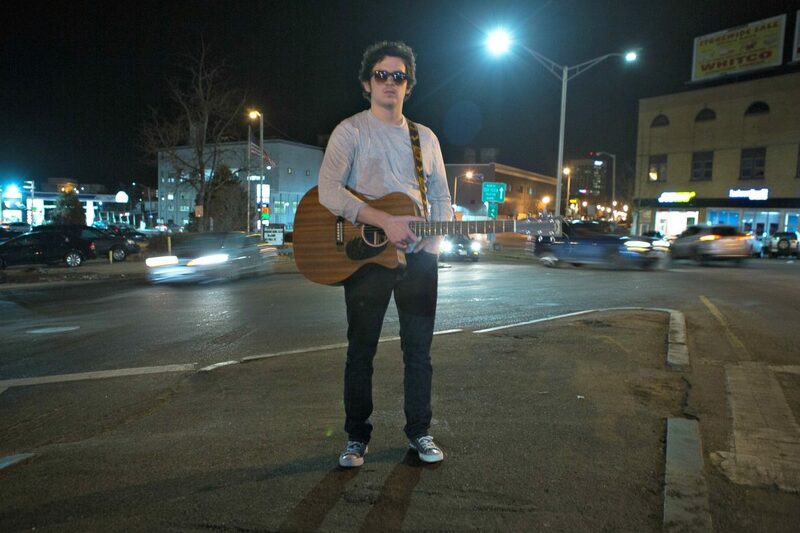 “He can do it on his own,” said the Worcester native and St. John’s High grad, known locally as a former contestant on “The Voice,” a reality TV singing competition. No matter what direction Garcia decides to go, James suggests he shouldn’t wait too long to start making moves. “You should always be in rush to do whatever you can in the music business because there’s a million people that do exactly what you do. I say, the faster the better with everything. And it took me a really long time to learn that. I didn’t start going out to L.A. until I was 26, and I felt really late to the party,” said James, who released his own album back in October. Presti also thinks Garcia can use networking and social media to build his brand. James, who signed with a record label when he turned 28 but has since struck out on his own, said, “We live in 2017, so record labels are pretty much not a necessity. When you’re from Worcester, and you’re really talented and have a lot going on, it’s easy to think that you need an agent, manager and record label, and that will solve all of your problems. 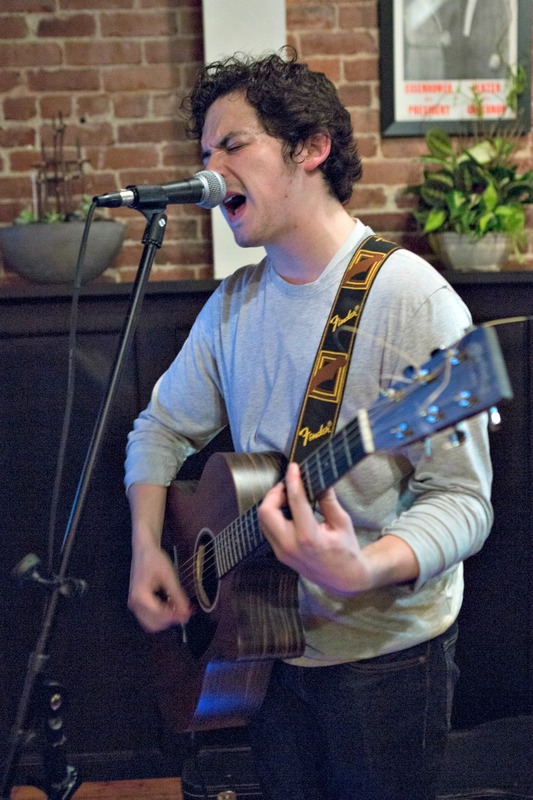 James, a frequent Worcester performer who lives in Sturbridge, lists cities like Nashville, Tennessee, New York City, Miami and Los Angeles as places where Garcia should try to make a name for himself to expand his brand. Closer to home, Garcia made such an impression on Presti that Dirty Water TV invited Garcia to be part of its livestream at The Greatest Bar, one week after filming at Sterling’s. 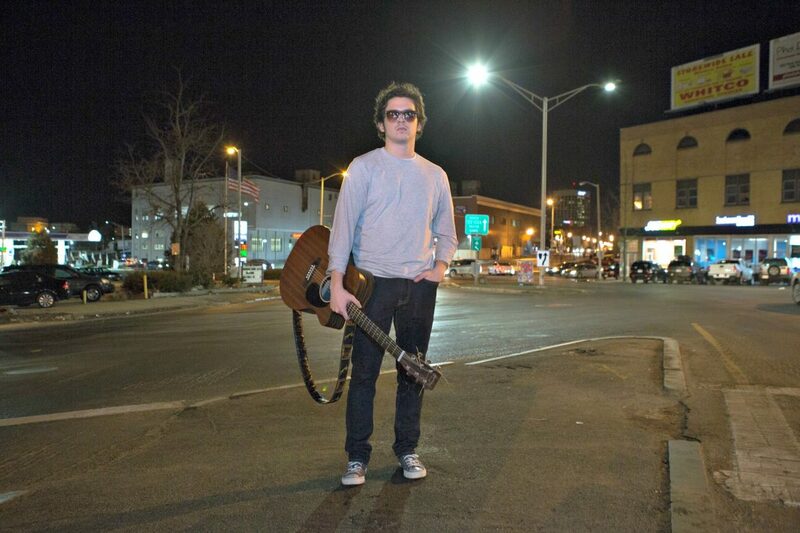 In Worcester— where his dad, Iggy, is a city police officer and mom, Andrea Borrelli, is a business analyst for the state — Garcia performs several times each week at bars and restaurants on Shrewsbury Street, in the Canal District and up and down Park Avenue. 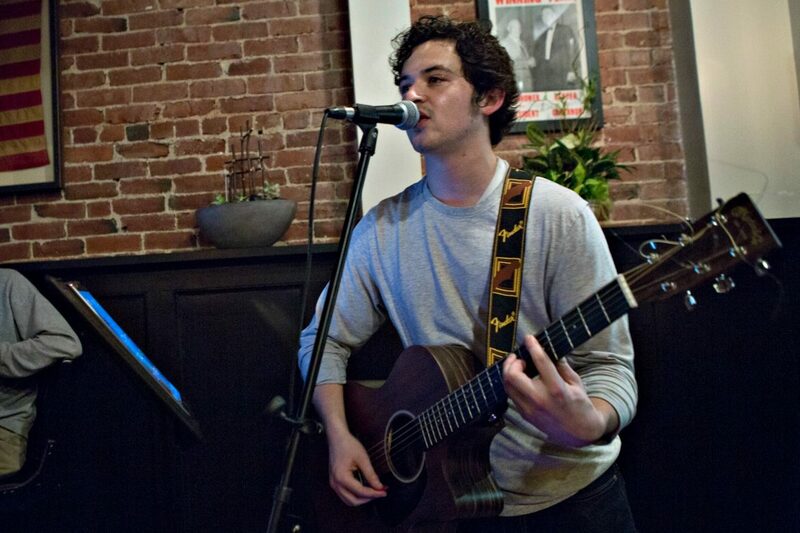 He’s also played gigs in Hingham, Boston and Newport, Rhode Island. When performing live, Garcia turns to the songs he grew up with, from artists like Third Eye Blind, Oasis, Coldplay, Sublime and The Black Keys. “I love Worcester. It’s my home. I’ve read a quote before that ‘Where you are, makes you who you are and who you aren’t.’ I really believe that,” Garcia said. Garcia, whose sister Luciana is a freshman at Holy Name, was captain of the hockey team and played shortstop for the Guardians before graduating from SPM in 2013. He is studying entertainment management and audio production at Bay State College in Boston. 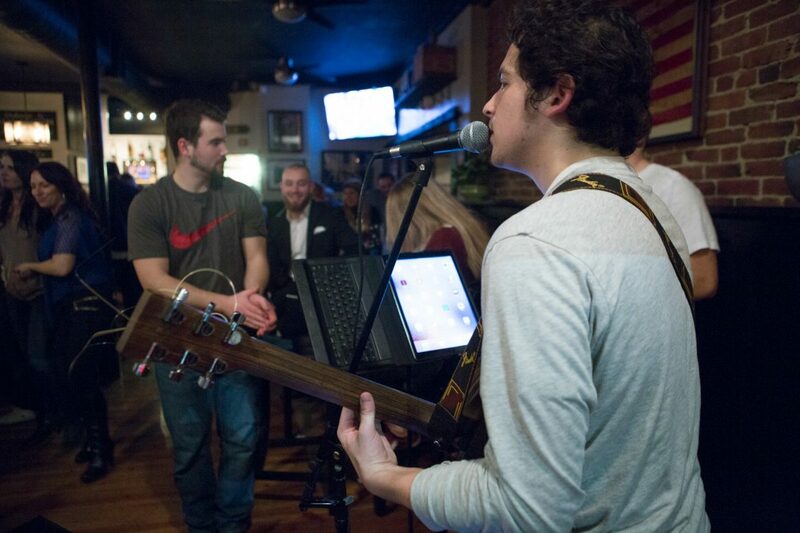 Garcia sings original tracks and covers at bars across Worcester. Garcia recorded “LIFE” at Kissy Pig Recording Studio in Allston, but finished the rest of the album, including production, at Deep Blue Studios. “Where am I going after his album?” Garcia pondered. “The next album and the next project. I don’t know when that will be. For now, my plan is to acquire a ton of gigs up and down the East Coast for a short summer tour — maybe 10 to 12 days with five or six places lined up. Wherever he goes, he’ll have fans close by. “There’s more to come. The sky’s the limit. I have faith in myself. I’m not putting any limits on myself. I’ll see where this takes me. I’m just going to continue making music because that’s what I love to do and what I’m going to keep doing,” he said. On St. Patrick’s Day, March 17, Garcia will perform at The Loft on Park Avenue from 8 p.m. to 11 p.m. Garcia also will perform in Boston, May 12 at The Black Rose and May 14 at the Landmark Events Showcase Festival at the Hard Rock Cafe. Follow Garcia on Facebook and Twitter, and check him out on iTunes and Spotify. Patrick Sargent would rather not talk about his fantasy football league this year. But, what we can tell you is, he was born and raised on Grafton Hill and attended Holy Name. He graduated from Worcester State University with a bachelor’s degree in English. While there, Sargent had brief stints with weekly newspapers Worcester Magazine, Leominster Champion and Fitchburg Pride. 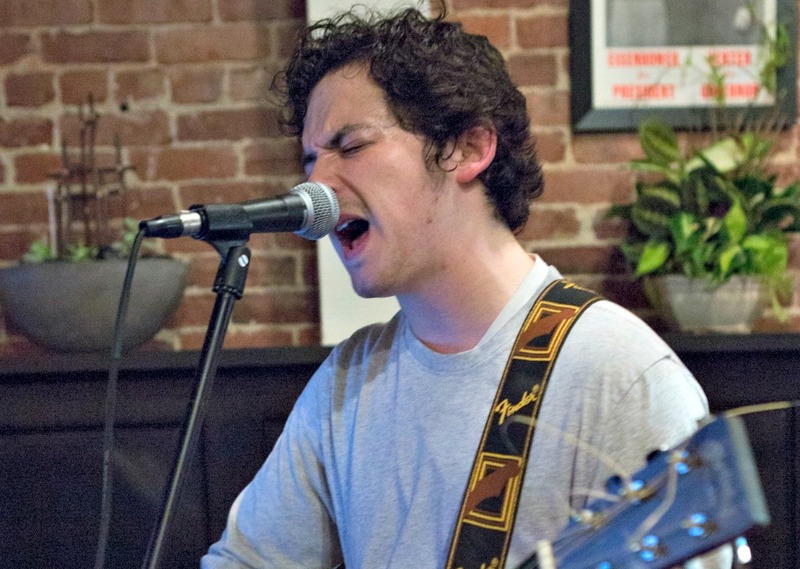 Following graduation, the talented karaoke crooner worked as a bartender and bar manager, and spent a year covering the city for GoLocalWorcester before joining the Sun.